A charming three bedroom Victorian house enviably located in one of the most desirable roads in Stoke Newington moments away from Stoke Newington Church Street and close to Clissold Park. The house is spacious and well-presented throughout boasting . 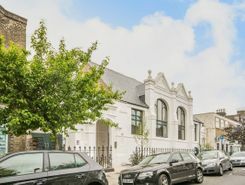 Situated on the top floor of this attractive converted school this bright and spacious three bedroom apartment features a south facing roof terrace offering views of the city skyline. 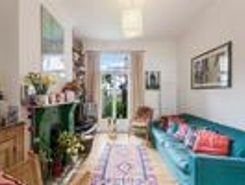 An attractive three bedroom Victorian house, enviably located in one of the most popular residential roads south of Stoke Newington Church Street, close to all the entertainment, transport, schools and Clissold Park. This superb family home is spread . A spacious and beautifully presented two bedroom top floor period conversion in Stoke Newington, close to transport links and local amenities. 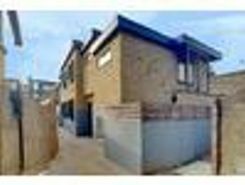 It is a bright and spacious split level home, boasting approxima 942 sq ft of internal accommodation, . Uninterrupted, this stunning two bedroom, two bathroom, split level, period conversion set in a leafy development adjacent to Abney Park Cemetery is a must see. 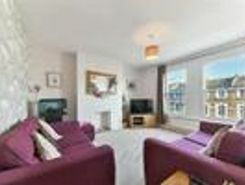 The property is beautifully presented throughout having recently been refurbished, it is . An outstanding example of a beautifully presented and exceptionally spacious family house located within the sought after residential area of Stoke Newington, moments away from Church Street, excellent local schools and transport. This charming home . 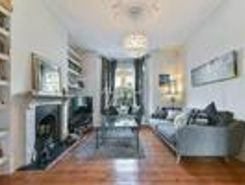 Property website TheHouseShop have used their expert knowledge of the Stoke-Newington in Greater London property market to help buyers, sellers, tenants and landlords save money when advertising and searching for property available online. Property website TheHouseShop is unique in the UK property market as it is the only place that accepts listings from homeowners and professionals, so visitors will find properties available for sale and to rent from traditional estate agents, online-only agents, private landlords, private sellers and property developers. Homeowners can choose how they want to sell their property and can list with a traditional agent, online-only agent or sell their property privately with TheHouseShop. Homeowners in Stoke-Newington in Greater London can save thousands of pounds by selling their own home on TheHouseShop.com. Private house sales have become popular in Stoke-Newington in Greater London in recent years, as large numbers of homeowners decide to sell their property privately online. Homeowners using TheHouseShop to sell their property privately can book a free professional property valuation from a qualified local expert to help them ensure that they have priced their property in line with current Stoke-Newington in Greater London house prices. Private landlords and sellers can make use of TheHouseShop's marketing options to generate more exposure for their property and quickly find the right buyer or tenant. Thanks to TheHouseShop, homeowners in Stoke-Newington in Greater London can save time and money by advertising their properties to thousands of motivated users on the UK's leading property marketplace. If you are a homeowner looking to sell or let a property in Stoke-Newington in Greater London, then TheHouseShop are here to help! 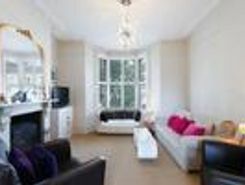 Local estate agents in Stoke-Newington in Greater London also use TheHouseShop.com to find great quality tenants and buyers for their properties by advertising all their listings for free on the website. If you are looking for property for sale in Stoke-Newington in Greater London, TheHouseShop has a huge selection of homes available to buy including flats, apartments, detached houses, bungalows, maisonettes, terraced houses and more. Big agent-only property portals like RightMove and Zoopla will not showcase private listings, but TheHouseShop's mix of professional and private listings mean you can find unique homes in Stoke-Newington in Greater London for sale and to rent. Make sure you visit TheHouseShop during your property search and don't forget to set up a free property alert to find thousands of unique new homes updated daily. 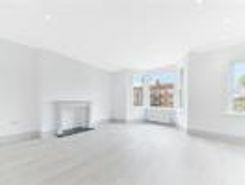 Sellers can use TheHouseShop to compare the best estate agents in Stoke-Newington in Greater London and help narrow down the competition so that they choose the best agent for their property. Property marketplace TheHouseShop attracts tens of thousands of buyers who are looking to buy property in Stoke-Newington in Greater London and the surrounding areas every day. 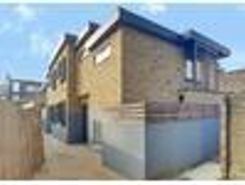 TheHouseShop also deal with properties in the accessible and adaptable homes market and home hunters can find a range of accessible housing options for sale in Stoke-Newington in Greater London. 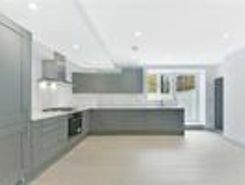 Some of the best New Homes developers in Stoke-Newington in Greater London use TheHouseShop to promote their accessible listings as well as their new homes for sale. Buyers can use TheHouseShop to find a huge selection of affordable homes for sale. Buyers can find cheap houses and new build properties available through Shared Ownership schemes in Stoke-Newington in Greater London. Want to find out how much a property is worth? Buyers can use TheHouseShop's free online valuation tool to get an estimated house price for any property in Stoke-Newington in Greater London. 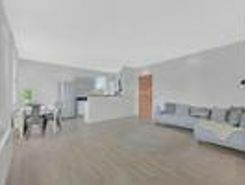 If you are buying, selling, renting or letting property in Stoke-Newington in Greater London, TheHouseShop is here to cover all your property needs.